Thank jeebus… The new album from The Verve actually sounds pretty good. You know, oftentimes when band’s reform, they simply rest on their laurels and end up reliving their glory days, touring and touring on old material. Not The Verve though. 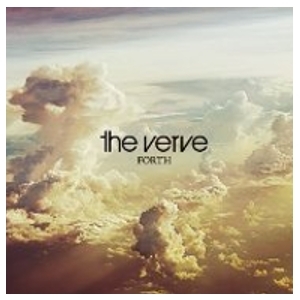 The Verve have put themselves out there, and recently released their new album, entitled “Forth “. And damned if I’m not enjoying this one. This, the band’s fourth album, is a return to their more psychedelic sounding tunes… with Ashcroft meandering through a swirling world of coloured clouds, and guitarist Nick McCabe laying down some serious aural layers… a wall of sounds that envelops you. I’m going to be bluntly honest; it’s not going to appease all their fans (and particularly not the “Bittersweet Symphony” crowd), but nor is it supposed to. It’s a brave reappearance from a band that refuse to rest on nostalgia. The Verve have kindly created a widget for us music bloggers to embed, so check it out below.